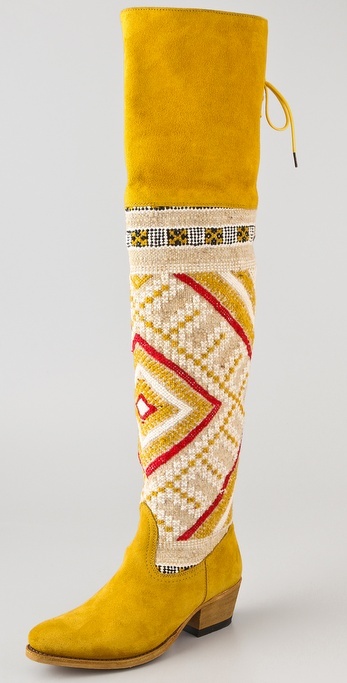 Today's So Shoe Me is the Zeus Over the Knee Boots by Cobra Society, $1195, available at Shopbop. With the weather continually becoming colder and gloomier there's only one bright side to this situation: I can totally pull off these signature Cobra Society OTK boots! 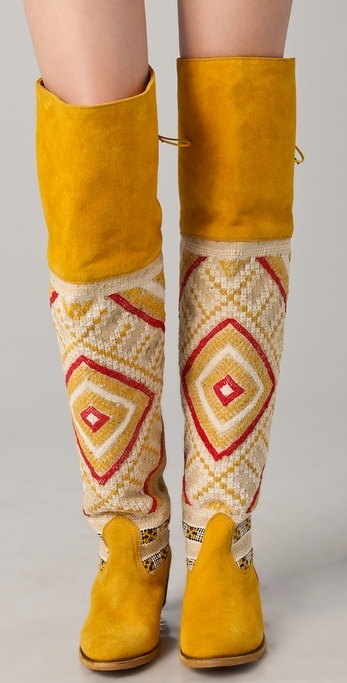 While my cutoffs and short sleeves are being replaced with skinny jeans and chunky knits the bright mustard suede and artisanal Moroccan wool tapestry adds a bit of fun to these dark overcast days. This boho style comes complete with the perfect corset laced back and will add a luxe indie touch to your festival style, hi-lo day dresses or a simple pair of skinny jeans and a tee. A statement making splurge these Cobra Society boots can become your signature style and due to the handcrafted design they will only get better with age making them a lifetime fashion investment. Pair these super signature boots with a hi-lo hem white cotton t-shirt dress for a way to pull off an OTK style in warmer temps. 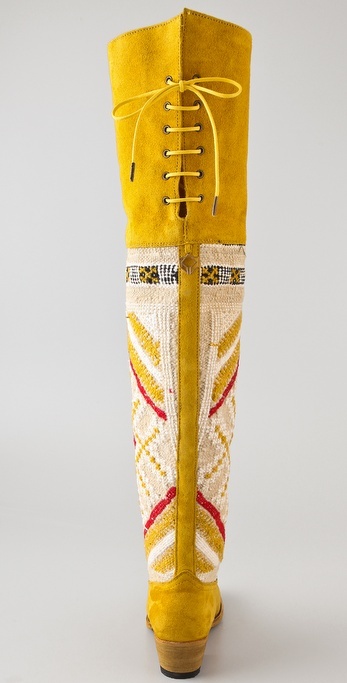 So Shoe Me a pair of tribal tapestry accented boots in a neutral yet bright colorway that will add an unexpected touch to my spring wardrobe.